The Goodyear Eagle F1 Asymmetric 3 redefines tyre performance for powerful saloons and sports cars as well as their driver’s expectations. Significant efforts went into optimising the tyre for outstanding safety and performance. More than 36,000 engineering hours went into the development of the tyre, including over 5,000 tests, 1,200 tests on the road and 3,800 on five test locations in five countries, covering a total of 330,000 km. A key feature is the active braking technology increasing the contact surface and grip when braking, which allows for a shorter braking distance. Additionally, the new grip booster compound ensures increased grip during braking and handling and adhesive resin for stickiness delivers strong grip for shorter braking and performance handling on wet and dry roads. The new reinforced construction technology allows for steering precision and durability by delivering a stronger lightweight construction improving handling, cornering performance, tread wear and fuel efficiency. 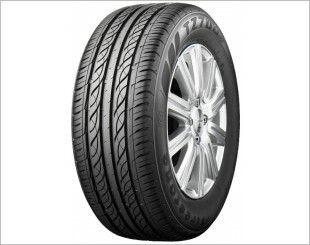 The independent TUV Sud Benchmark Test ordered by Goodyear confirmed the key strengths of the tyre. The results show that the Goodyear Eagle F1 Asymmetric 3 has a 2.6 metres shorter braking distance (9% better performance) on wet roads than the average of three main competitors. The braking distance on dry roads is 1.3 metres shorter (4% better performance) and the Goodyear Eagle F1 Asymmetric 3 demonstrates 4% better wet handling than the average of three main competitors. The results also show a 10.9 % better rolling resistance than the average of three main competitors and the tyre represents the second best rolling resistance performance of tyre brands tested. The New Grip Booster compound used for the Eagle F1 Asymmetric 3, is made with adhesive resin to increase stickiness with the surface. This delivers better grip for braking and handling on wet and dry roads. 1. What differences does the new tire offer from its predecessor? The Eagle F1 Asymmetric 3 performed better in this year’s independent TÜV Süd Benchmark Test than its predecessor, the Eagle F1 Asymmetric 2 did in the independent TÜV Süd Benchmark Test results from 2010. The Eagle F1 Asymmetric 3 was the better performer when braking on a wet road (on average 12% better performance, 11% better lateral wet grip). The tire also shows better wet handling (4%) and dry braking (3% better performance). 2. How does the Eagle F1 Asymmetric 3 compare to competitors? Overall, the Eagle F1 Asymmetric 3 performed better than the average of its competitors tested in the independent TÜV Süd Benchmark Test . The tire shows better wet handling (4%) and dry braking (1.3 meters shorter braking distance on dry roads, or 4% better performance). The tire was also the best performer when braking on a wet road (2.6 meters shorter braking distance on wet roads or 9% better performance). The results also show that the tire performs better for aquaplaning (1% in a straight line and 5% in a curve). Additionally, the same test results also show a 10.9 % better rolling resistance compared to the average of the three tested competitors, which represents the second best rolling resistance performance of the tire brands tested . 3. What is the effect of the Grip Booster Technology and what benefit will this bring to the consumer? With the new Grip Booster Technology, the Eagle F1 Asymmetric 3 tire is built with adhesive resin for stickiness and delivers improved grip for excellent performance handling on wet and dry roads. 4. What is effect of the ActiveBraking Technology and what benefit will this bring to the consumer? 5. What is the effect of the Reinforced Construction Technology and what benefit will this bring to the consumer? Goodyear’s new Reinforced Construction Technology delivers a stronger lightweight construction for the Eagle F1 Asymmetric 3 tire, improving handling and cornering performance. Independent DEKRA test proves that the Eagle F1 Asymmetric 3 offers 31% better wear performance compared to average of key competitors. 6. How does the Eagle F1 Asymmetric 3 tire perform in braking? The new Grip Booster Technology has a grip booster compound with adhesive resin that ensures the tire sticks to the road. It also has a stronger lightweight construction and is equipped with Active Braking Technology that increases the contact surface when braking, meaning shorter braking distances. Thanks to these innovations, the Eagle F1 Asymmetric 3 offers improved grip, and therefore better handling and braking compared to its predecessor. 7. 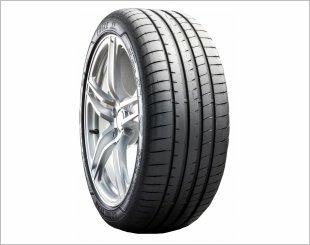 What are some examples of vehicles that the Eagle F1 Asymmetric 3 tire would be suitable for? 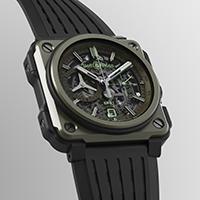 The Eagle F1 Asymmetric 3 is designed for luxury sports cars. 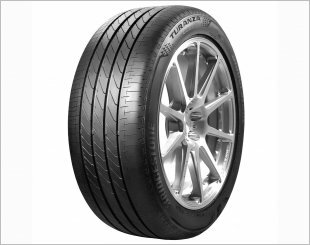 The tire is already fitted as standard in certain markets by leading OE fitments including Jaguar XF, Mercedes Benz E-Class and Chevrolet Camaro. 8. How will the Eagle F1 Asymmetric 3 tire stand up to Singapore road conditions? 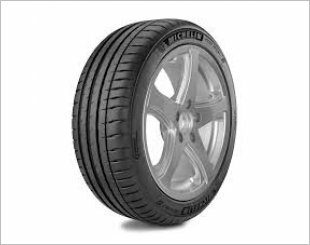 The Eagle F1 Asymmetric 3 tire has been designed to suit the needs of consumers in [insert country]. The superior features and performance have been tested to Goodyear’s highest standards to provide confidence that it will perform on the region’s roads. 9. What is the wear performance of the Eagle F1 Asymmetric 3? 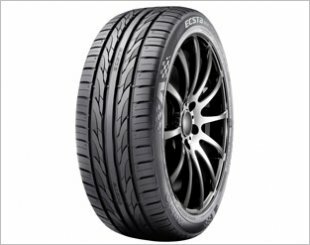 The Eagle F1 Asymmetric 3 has been tested by independent organization DEKRA which resulted in a strong performance on tread wear compared to other premium tires tested. In fact, the Goodyear Eagle F1 Asymmetric 3 proved to offer +31% better wear performance versus the average of key competitors tested. 10. How confident is Goodyear of this product when it hits the market? The Goodyear Eagle F1 Asymmetric 3 tire is an ideal choice for today’s discerning consumer looking for an exciting experience with powerful performance. With its excellent wet grip and braking performance, Goodyear Singapore is extremely confident that the tremendous value offered to consumers will make this tire amongst the top choices in its segment. 11. Why is the development of luxury sport tires important for the Asia Pacific market? The luxury sport segment is clearly a growth market , expected to increase with a compound annual growth rate of more than 6% from 2016 to 2020 in Asia Pacific . In order to meet the growing demand, Goodyear is committed to continue innovation and to offer ultra-high performing products to our consumers. We are confident of extending our leadership position in the luxury sport tire segment through our offering of premium OE fitments. 12. What is it that sets Goodyear apart from its competitors? Our competitive advantage is how we integrate our tire innovations with our customer focus. Goodyear is a global leader in tire technology and innovation, with a focus on creating unique products and services that enhance performance and improve safety. But it is not innovation for innovation's sake. It starts with the customer—and ends with customer. It’s something we call market-back innovation. Our customer-focused innovations have resulted in Goodyear being awarded the honor of being a Thomas Reuters Top 100 Global Innovator for the past three years. Mo Huat Tyre & Battery Co.